Now, two Boston University computer scientists, working with researchers at Draper, a not-for-profit engineering solutions company located in Cambridge, have developed a tool that could make it harder for hackers to find their way into networks where they don't belong. 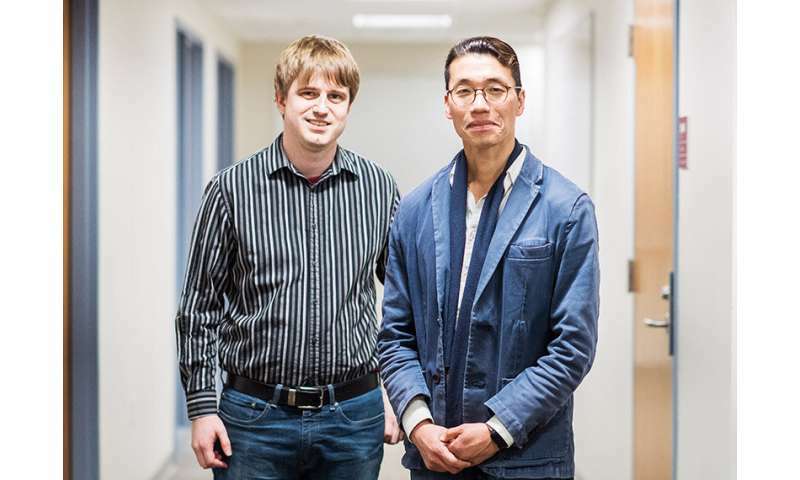 Peter Chin, a research professor of computer science and an affiliate of the Rafik B. Hariri Institute for Computing and Computational Science & Engineering, and Jacob Harer, a fourth-year Ph.D. student in computer science, worked with Draper researchers to develop technology that can scan software systems for the kinds of vulnerabilities that are often used by cybercriminals to gain entry. The tool, which used deep learning to train neural networks to identify patterns that indicate software flaws, can scan millions of lines of code in seconds, and will someday have the ability to fix the coding errors that it spots. Chin knew that it was possible to represent a software program visually, as a control flow graph. He also knew that there was a library of more than 10,000 common coding errors, called CWE (Common Weakness Enumerations), that had been put together by the National Institute of Standards and Technology (NIST). If those common coding errors in NIST's CWE could be presented as an image, he reasoned, a neural network could conceivably be trained on them to find common patterns of vulnerabilities, just as the Stanford neural network learned to identify common features of cats. Since the start of the project in 2014, the researchers have realized that they needed more than just an image from the control flow graph to spot vulnerabilities. They have since improved their techniques, adding additional features, such as a parsed representation for code similar to that used by modern compilers, and they have adopted networks commonly used for natural language processing. Their research, which Chin says illustrates the promise of such university/industry partnerships, is now described in two papers, "Automated Vulnerability Detection in Source Code Using Deep Representation Learning," which has been accepted at IEEE ICMLA 2018, and "Learning to Repair Software Vulnerabilities with Generative Adversarial Networks," which was accepted at 2018 NIPS. Chin says DeepCode's second function, fixing the coding errors, is still a working project. "It's very difficult," he says. "Correcting bad software is a lot like correcting bad grammar. Someone could say 'I went at the market' when they should have said 'I went to the market.' You train the network to identify the mistaken pattern and replace it with the proper pattern. At least that's the basic idea." Harer says one problem is that researchers don't know enough about how the machines recognize vulnerabilities. "These neural network models are very much black box models," he says. "They are trained on huge amounts of data and we sort of hope that they can figure out what's going on. This is a problem with deep learning in general."